As any modern dentist will tell you, good dental care isn't just about enhancing the functionality of your smile. It's also about providing an amazingly beautiful appearance that will boost your confidence. For quality cosmetic care, Dr. Thomas O. Brammeier has the experience, tools and gentleness to transform your look today! As your insurance company might define it, cosmetic dentistry is dental work that's done mainly to boost your appearance. Typically, the procedures are optional, not required. There's a fine line between cosmetic and functional dentistry, however. Braces, for instance, can beautify your smile by aligning the teeth, but the alignment also can make every day oral care such as flossing easier to do and make sure your bite force is even. Procedures that often fall into the cosmetic category include composite fillings, veneers, tooth whitening and porcelain crowns and fixed bridges, all of which Dr. Brammeier can do for you! If you're not sure if the procedure you're interested in is cosmetic, it's always best to talk with us first. Our Schaumburg dental office strives to ensure that we provide personalized and quality information to help you decide which service is best for you. We will also l do our best to make sure you get the financial coverage you qualify for. Cosmetic dentistry is still a relatively new area compared to other dental niches, but it is exploding in popularity. Advances in technology allow Dr. Brammeier, and other dentists working in the field, to complete cosmetic services now that would not have been possible even a few years ago, all while minimizing discomfort associated with cosmetic dental procedures, reducing down time and offering more precise and pleasing results. Even if you would like a relatively basic, non-invasive procedure, such as teeth whitening, Dr. Brammeier still will assess you personally to determine if you qualify for treatment. We are committed to your safety and always aim to educate you about both the risks and positive benefits you might experience with cosmetic service. In some cases, you might have to go through additional procedures, such as bone grafting or periodontal treatment, before Dr. Brammeier can move on to cosmetic services. 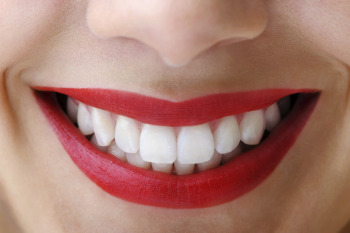 Let Dr. Brammeier Beautify Your Smile! With more than three decades of experience, Dr. Brammeier has a full understanding of the latest and most effective cosmetic options. Make him your cosmetic dentist in Schaumburg, IL and get your dazzling smile today! We're happy to schedule your appointment through our online request form or when you call (847) 985-8100. Contact us at our Schaumburg dental practice today!